BJ Bourg, “Thief in the Night” at Over My Dead Body! (December 2016). Craig Faustus Buck, “Bunker Mentality” at Flash Bang Mysteries Issue 6: Winter 2017 (December 2016). Sati Chock, “Soon Night Will Press Upon You" in the Candlesticks and Daggers: An Anthology of Mixed-Genre Mysteries, CreateSpace (December 2016) as well as “The Eye of The Beholder” in After the Happily Ever After: a collection of fractured fairy tales, Transmundane Press (December 2016). Jan Christensen, “The Game’s Afoot” at Mysterical-E: Fall 2016 Issue (December 2016). Herschel Cozine, “The Numbers Game” at Over My Dead Body! (December 2016). Peter DiChellis, “The Pinnacle Diner Murder” at Over My Dead Body! (December 2016). Barbara Eliasson, “Mean Girls” at Flash Bang Mysteries Issue 6: Winter 2017 (December 2016). Gail Farrelly, “Santa and the Poor Box” in The Yonkers Tribune as a five part serial from December 19-23, 2016. John M. Floyd, “Unsigned, Sealed, and Delivered,” in Flash Bang Mysteries: Winter/January 2017 Issue (December 2016). Richie Narvaez, “Merry Xmas from Orchard Beach” at Spinetingler (December 14, 2016). Jude Roy, “The Imagineer” at Mysterical-E: Fall 2016 Issue (December 2016). Jacqueline Seewald, “Genesis" at Over My Dead Body! (December 2016) and “Dinosaur Digs” at the kids magazine, Bumples. Jacqueline also has a short story, Marriage Counselor, in A Bit of a Twist: Read on the Run Anthology, Smoking Pen Press (December 2016).Also out this month is The Inheritance from Intrigue Publishing (December 2016). Nupur Tustin, "The Christmas Stalker" in Heater, Vol 4, #11 (December 2016). Victoria Weisfeld, "A Slaying Song Tonight" in Ellery Queen’s Mystery Magazine (January/February 2017). Elizabeth Zelvin, “Elvis and the Shifter: A Christmas Mystery/Fantasy Short Story” at King’s River Life Magazine (December 13, 2016). When and only when he makes the call onlist, email news for next month's post to SMFS President Kevin R. Tipple (KEVINRTIPPLE at VERIZON dot NET). Please check your email for instructions on how to submit your December news. 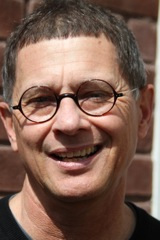 After reading Debra H. Goldstein's post earlier this week about the Sisters in Crime "We Love Short Stories" Initiative, Peter DiChellis was inspired to contribute the below post. He also caused a bit of a nasty flashback for me regarding High School English class each year. 1. It’s like going on a treasure hunt. When I open a mystery anthology or magazine, or click through a top-notch ezine, I always discover new authors, new stories from favorite authors, new characters, and new writing styles. I can never predict what gems I’ll find on these adventures. I love the surprise. 2. Short mysteries gimme a break! Like most mystery readers, I enjoy novels. 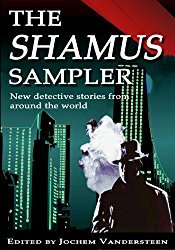 Short mysteries provide a perfect, quickie break after finishing a long or intricate book. I’ll plunge into another 400-page commitment soon enough. Gimme a short break first! 3. I love taking lots of quick, tasty bites. Reading short mysteries reminds me of attending a food fair with booth after booth offering tasty samples. I can try a variety of unique flavors, one after another, one bite at a time. 4. Short mystery stories pack remarkable creative punch. Good mysteries require first-rate plotting. Good shorts require airtight writing. Tough to do both at once. I love seeing it happen. 5. Short mysteries deliver wall-to-wall wow. Creative punch isn’t simply what writers put into a story; it’s also what they cut out. Shorts, to channel Elmore Leonard, leave out the parts people skip. Pure story, no filler. Wall-to-wall wow. Here’s my guarantee: Trying a few short mysteries through the library or internet won’t cost you a dime. You’ll enjoy a diverse and entertaining reading break. You’ll find at least one story that absolutely wows you and discover at least one author whose work you’ll want to explore further. And you might even fall in love with short mystery stories. Is that a sweet deal or what? 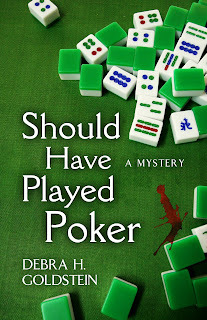 Earlier this week, I referenced the latest issue of the Sisters In Crime Magazine and how there were pieces in it from Jan Christensen and Debra H. Goldstein. Debra contacted me and asked to write about the SIC short story initiative for our SMFS blog and I eagerly accepted. The result of that conversation led to her guest post below. 3) Online markets, many of short duration, have increased, but few provide paying opportunities for writers. The committee proposed and the national board adopted the creation of the SinC “We Love Short Stories” initiative. “We Love Short Stories” was launched at Malice Domestic 2016 via an announcement from President Budewitz, followed by an e-mail blast and an article in the inSinC discussing the importance of short stories. To further effectuate this initiative, partnerships were established with several publishers and corporations to provide discounts and other subscription incentives to SinC members. It was also decided that articles should appear in each issue of inSinC on writing short stories, finding markets, promotion, understanding what editors want, differences between single and multiple author anthologies, and how to publish stories traditionally and independently. Articles published during the past year include “Why I Write Short Stories” (Ruth Moose), “Ellery Queen Magazine Turns 75” (Art Taylor), “Why Write Short Stories” (Debra H. Goldstein and Mary Jane Maffini), “Success With Short Stories” (Dale T. Phillips), “Short Story Mystery Anthologies” (Debra H. Goldstein), and “Short Mystery Fiction Society” (Jan Christensen). Materials were shared with local SinC chapters suggesting programs or activities that could be done to demonstrate “We Love Short Stories.” For example, the Atlanta Sisters in Crime Chapter recently sponsored a community-wide one day day short story workshop taught by four recognized short story writers. In addition to general topics related to craft, skill, and markets, attendees were introduced to the existence of groups, including the Short Mystery Fiction Society. 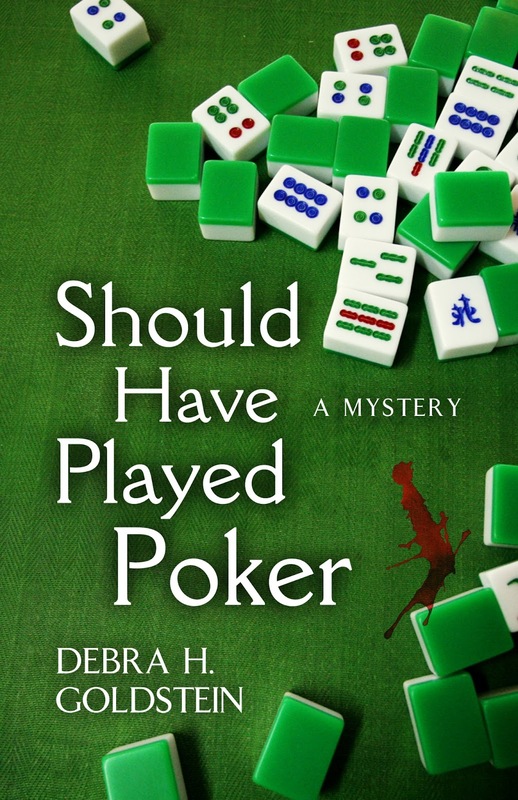 Judge Debra H. Goldstein is the author of Should Have Played Poker: a Carrie Martin and the Mah Jongg Players Mystery (Five Star Publishing – April 2016) and the 2012 IPPY Award winning Maze in Blue, a mystery set on the University of Michigan’s campus. Her short stories and essays have been published in anthologies including Mardi Gras Murder and The Killer Wore Cranberry: a Fourth Meal of Mayhem as well as in The Birmingham Arts Journal, More Magazine Online, Bethlehem Writers Roundtable, Alalit.com, Kings River Life Magazine, Over My Dead Body! and Mysterical-E. . Debra serves on the national Sisters in Crime and Guppy Chapter boards and is an MWA member. She lives in Birmingham, Alabama with her husband, Joel, whose blood runs crimson. Over on the Crime Fiction Lover website in the post "NTN: How to find new crime authors" the SMFS Anthology Flash and Bang is mentioned as one of a number of good sources to look at for new authors. The November 16th post has anthology suggestions in alphabetical order putting the SMFS approximately in the middle of the page if you go to the website. My thanks to Sarah M. Chen for bringing this to our attention. Available in both print and eBook formats the anthology can be purchased at the publisher, Untreed Reads, Amazon, Barnes and Noble and other fine bookstores. Past President Jan Christensen has an article in the December issue about SMFS. She explains a little bit about the group and how she became involved in it. The interesting piece is on page 16. Also in the issue just before that is a two page article from SMFS member Debra Goldstein on "Short Mystery Anthologies." This piece is the first of a two part interview article with editors Michele Slung, Jon Betancourt, and Jay Hartman. Debra also is the Head of the SinC Short Story Initiative adopted by the group under the moniker, "We Love Short Stories." Lots of good stuff to read so make sure you take a look. Thank you to Jan Christensen for providing the link to the issue. Micki Browning, “Sleighed” in Mystery Weekly Magazine: December 2016. The short story is also scheduled to be the featured tale for the free weekly story on December 20, 2016. M. H. Callway, Glow Grass and Other Tales, Carrick Publishing (October 2016). Sarah M. Chen, “Besties & Blow” in Fast Women And Neon Lights: Eighties Inspired Neon Noir, Short Stack Books (November 2016) and "Grateful Touring" in Windward: Best New England Crime Stories 2016, Level Best Books (November 2016). Diana Deverell, “Opening Day, 1954” in Alfred Hitchcock Mystery Magazine (November 2016) and ​“Boot Scoot” in the Very Merry Christmas Bundle (BundleRabbit for November-December 2016). Gail Farrelly, “They eDone Him Wrong" in Kings River Life Magazine, (November 21, 2016) and “Busted! : A Thanksgiving Mystery Short Story” in the Yonkers Tribune (November 22, 2016). John Floyd, “Flu Season” in The Norwegian American, (November 4, 2016) as well as “Jackpot Mode” in The Strand Magazine: Holiday 2016 (October-January 2017) and “Candid Camera” in Woman’s World (November 28, 2016). John also reports that he has the short story, “Survival” in the November 26 edition of Kings River Life Magazine. Debra H. Goldstein, “Thanksgiving I Do, I Don’t: Thanksgiving Mystery Short Story” at Kings River Life Magazine (November 17, 2016). Lisa Lieberman, “Yemayà's Revenge” in Windward: Best New England Crime Stories 2016, Level Best Books (November 2016). Robert S. Levinson, “The Body in the Backyard” in Mystery Weekly Magazine: December 2016. Stephen Liskow, “The Girl in the Red Bandanna” is the Honorable Mention Winner for the Al Blanchard Short Crime Fiction Contest, Crime Bake 2016. Nina Mansfield, “Big Hair, Banana Clips and the Figure Four Leg Lock” in Fast Women And Neon Lights: Eighties Inspired Neon Noir, Short Stack Books (November 2016). Paul D. Marks, “Ghosts of Bunker Hill” in Ellery Queen Mystery Magazine (December 2016). Ruth M. McCarty, “The List” in Windward: Best New England Crime Stories 2016, Level Best Books (November 2016). Bern Sy Moss, “White Lies and Green Bean Casseroles: Thanksgiving Mystery Short Story” at Kings River Life Magazine (November 22, 2016). Susan Oleksiw, Wrath of Shiva: Anita Ray Mystery Series Book 2, Harlequin Worldwide Mystery (November 2016). Meg Opperman, “Murder Under the Baobab” in Ellery Queen Mystery Magazine (November 2016) and "Surf's Up," in Sherlock Holmes Mystery Magazine: #21 (November 2016). Meg also reports that her latest Book Blog column in the feature “Write Side Up” titled, “No, Officer, I Swear I’m Not a Serial Killer” is now up at the Washington Independent Review of Books (November 28, 2016). Alan Orloff, “Cheap Medz” in Windward: Best New England Crime Stories 2016, Level Best Books (November 2016). Josh Pachter, "Pisan Zapra" in Alfred Hitchcock Mystery Magazine (November 2016). Anita Page, “Fresh Start” in in Windward: Best New England Crime Stories 2016, Level Best Books (November 2016). Travis Richardson, “The Designated Day” at Near To The Knuckle on November 3, 2016. Jude Roy, Searching for Lilith: A Cajun PI Series, Self-Published, November 2016. Jacqueline Seewald, “Spirit” in New Zenith Magazine: Issue 2 Fall 2016. Judy Penz Sheluk has the short stories “Goulaigans” and “Saturday with Bronwyn” in The Whole She-Bang 3, Toronto Sisters in Crime (November 2016). Bonnie K. Stevens, "How Safe Can You Get?” in Kings River Life Magazine, (November 12, 2016). Elizabeth Zelvin, “Stalker” at Spinetingler (November 18, 2016). Email news for next month's post to SMFS President Kevin R. Tipple (KEVINRTIPPLE at VERIZON dot NET). 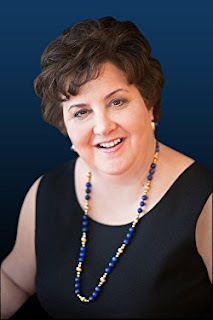 Victoria Weisfeld on "Mystery Short Stories: Ellery Queen & Betty Fedora"
As determined by the October 24-November 3 vote, self published stories will NOT be eligible for Derringer award consideration. The issue is tabled until after Bouchercon 2018. Erik Arneson, The Throes of Crime: A Short Story Collection, self-published, October 2016. Michael Bracken, “Selfies” in A Dose of Murder, Mystery and Mayhem, House of Erotica, October 2016. 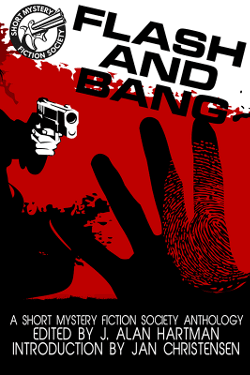 Lida Bushloper, "A Box of Change" in Flash Bang Mysteries: Issue 5 Fall/October 2016 and the poem “Testimony" at the crime poetry blog The Five-Two on Oct. 10, 2016. Dara Carr, “Ick Or Okay?” at Shotgun Honey on October 17, 2016. Larry W. Chavis, “On The Hook” in Flash Bang Mysteries: Issue 5 Fall/October2016. Jan Christensen, “Tricks But No Treats: Halloween Mystery Short Story” at Kings River Life Magazine on October 1, 2016. Catherine Dilts, Stone Cold Blooded: A Rock Shop Mystery (book 3), Encircle Publications, October 2016. James Dorr, “Paperboxing Art" in Crime & Mystery Short Stories and "Mr. Happy Head" in Murder Mayhem Short Stories. Both books were published in July 2016 by Flame Tree Publishing in England. James also reports that "The Wellmaster's Daughter" in Everywhere Stories Short Fiction from a Small Planet Vol. II was released in September 2016 from Press 53. Barry Ergang, “Gratitude: A Halloween Short Story” at Kings River Life Magazine (October 24, 2016) as well as “The Rabbit” at Spilling Cocoa Over Martin Amis (October 26, 2016). John M. Floyd, “Dreamland” (short story collection), Dogwood Press (October 2016) and Gator Island” in Flash Bang Mysteries: Issue 5 Fall/October 2016. JoAnne Lucas, "Retribution Run," in Deadlines: Murder and Mayhem on the California Coast: Volume 2, WriterWithin Publications, September 2016. Bartenn Mills, “Ghost 9-1-1: A Halloween Mystery Short Story” at Kings River Life Magazine on October 27, 2016. Terrie Farley Moran, Crepe Factory: A Scrapbooking Mystery (with Laura Childs), Berkley Prime Crime, October 2016. Mike Penn, “The Obituary” at Shotgun Honey on October 14, 2016. Mary Reed, “Waiting: A Halloween Short Story” at Kings River Life Magazine on October 22, 2016. Jacqueline Seewald, "Our Neighbors Ourselves" in Brewed Awakenings 2, Caffeinated Press, (October 2016) as well as "Spirit of the Law" in Sherlock Holmes Mystery Magazine #21, Wildside Press, October 2016. Art Taylor, “Rearview Mirror,” from On the Road with Del & Louise: A Novel in Stories, was republished in Best American Mystery Stories 2016, edited by Elizabeth George and Otto Penzler, Mariner Books, October 2016. On newsstands now is the November issue of Ellery Queen’s Mystery Magazine with his short story, “The Great Detective Reflects. Albert Tucher, “Share the Wealth” in in A Dose of Murder, Mystery and Mayhem, House of Erotica, October 2016. Vicki Weisfeld, "Breadcrumbs" in Betty Fedora Issue Three: Kickass Women in Crime Fiction, September 2016, as well as War Of The Worlds: A Halloween Short Story” at Kings River Life Magazine on October 28, 2016. As requested by multiple members, there is a poll currently underway regarding whether or not to allow self-published stories to be considered for the Derringers. This is a simple up or down vote based on Bobbi Chukran’s motion seconded by SMFS VP Larry Chavis. If the measure passes, the mechanics of accepting self-published work will be discussed and membership will be polled. If the measure does not pass, we will follow the precedent of the previous administration and table the issue until after Bouchercon 2017. Jan Christensen, The Artie Crimes Bundle (Untreed Reads, September 2016). Barry Ergang, “The Lust Song of J. Alfred Rudeshock” at Spilling Cocoa on Martin Amis (September 28, 2016). John Floyd, “Labor Day Heist,” Woman’s World (September 5, 2016 as well as “A Window in Crime,” Woman’s World, (September 26, 2016). Also, “The Blue Delta” in Blood on the Bayou: Bouchercon Anthology 2016 (Down and Out Books, September 2016). Kaye George, “Ivanya Figures It Out,” in the anthology We've Been Trumped! (Darkhouse Books, September 2016). Clifford Royal Johns, "The Shooting Gallery” in Mystery Weekly Magazine (September 2016). JoAnne Lucas, “A Feast For Fools” in the anthology We've Been Trumped! (Darkhouse Books, September 2016). Edith Maxwell, “The Mayor and the Midwife” in Blood on the Bayou: Bouchercon Anthology 2016 (Down and Out Books, September 2016) and “Adam and Eva: Mystery Short Story” in Kings River Life Magazine (September 3, 2016). Terrie Farley Moran, “The Boggy Bayou Caper” in Blood on the Bayou: Bouchercon Anthology 2016 (Down and Out Books, September 2016). William Dylan Powell, Untimely Demise: A Miscellany of Murder (Cider Mill Press, September 2016). Jaqueline Seewald, “Shroud” in Collidor Stream Collection 2016 (Reality Skimming Press, August 2016) and “Albino Rhino” in Fantasia Divinity Magazine: Issue 2 (September 2016). Judy Penz Sheluk, “Live Free or Die: Mystery Short Story” in Kings River Life Magazine (September 24, 2016). Mary Sutton, "Three Rivers Voodoo" in Blood on the Bayou: Bouchercon Anthology 2016 (Down and Out Books, September 2016).